Interested in exploring your options for gastric sleeve surgery? If you’re like most people considering weight loss surgery, this is not a decision you take lightly. You’ve genuinely tried to lose weight using every diet and exercise program out there. Like most people, you’ve found that the results have been temporary. You’re looking for a permanent solution, even if that involves a permanent lifestyle change. But most of all, you’re looking for a solution that starts now. You’re tired of waiting; you want to get started on losing the weight so you can start enjoying your new life. Unfortunately, if you don’t have private health insurance, your options for having this form of weight loss surgery in Australia are limited. Gastric sleeve surgery is only covered by Medicare if you pass very strict guidelines. Otherwise, you may be looking at $25,000 or more in total out of pocket costs. Even if you decide to take out private health insurance to cover some of the costs, you’ll still have to put up with a 12 month wait for surgery, as your weight problem will be considered a “pre-existing condition”. But you don’t want to be delaying your new life by another 12 months - especially if you have a complication like diabetes - and you really can’t afford $25,000 to have the operation now. So let’s explore another option: having gastric sleeve surgery overseas, with no wait, at a much lower cost. Through Global Health Travel, you can organise gastric sleeve surgery in one of two highly regarded international hospitals - Fortis Hospital in New Delhi, India, or Bumrungrad International Hospital, in Bangkok, Thailand. At Fortis Hospital in New Delhi, the all-inclusive cost of gastric sleeve surgery - including doctor’s and anaesthetist’s fees, and all inpatient accommodation and nursing costs - starts at around $13,500 (depending on exchange rates and the type of room you choose). At the famous Bumrungrad International Hospital in Bangkok, the all-inclusive cost starts at $16,000. Even with airfares added to this cost, either option represents a substantial saving on what you would pay in Australia. For instance, at Fortis Hospital in New Delhi, you could have your operation performed by Dr Mufazzai Lakdawala. Dr Lakdawala, who holds prestigious positions and fellowships with medical bodies in the US, Europe and Asia, is one of Asia’s most recognised laparoscopic surgeons and obesity experts. He has performed the largest number of Single Incision Laparoscopic Surgeries (SILS) not just in Asia but in the world, and has an incredible success rate. 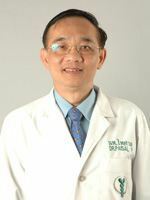 Or at Bumrungrad International Hospital in Bangkok, you could have surgery performed by Dr Paisal Pongchairerks, another expert laparoscopic surgeon who is a Professor at Thailand's Hahidol University. If you’re interested in gastric sleeve surgery in India or Thailand, contact Global Health Travel today. One of our friendly, expert consultants will talk you through how it works, including the support you’ll receive from us overseas, and our great options for accommodation while you recover from surgery. It could be the first step towards a new, healthier life!